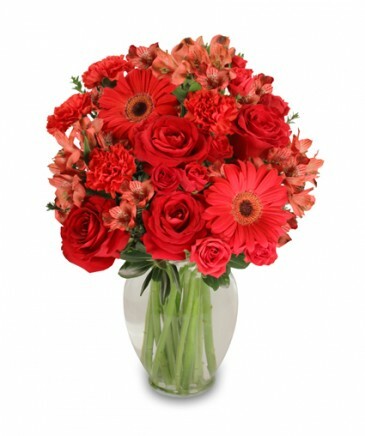 Ravishing red roses, gerberas, and carnations make a grand statement. 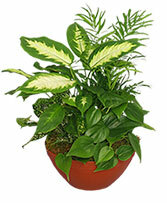 Order this enticing arrangement today! Bright, fiery blooms of hot pink gerberas, hot pink garden roses, mini orange spray roses, and purple tulips create a bubble of happiness. 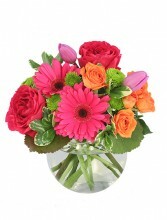 Send these fresh flowers to those you love! Out of season flowers will be replaced with similar flowers from our cutting garden.